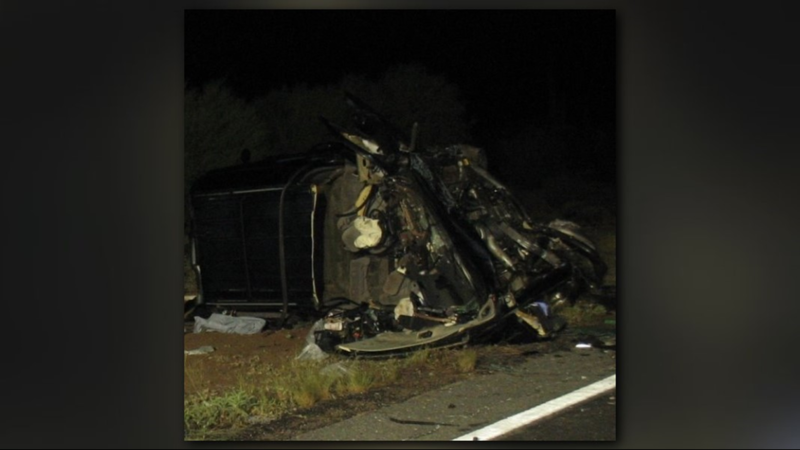 DPS released the identities of four of the people killed in the Wednesday crash south of Florence, Ariz.
FLORENCE, Ariz. - Eight people were killed in a head-on collision south of Florence Wednesday night, and Thursday Arizona Department of Public Safety released the identities of four of the victims. The crash involved a Chevy Suburban and a Buick. 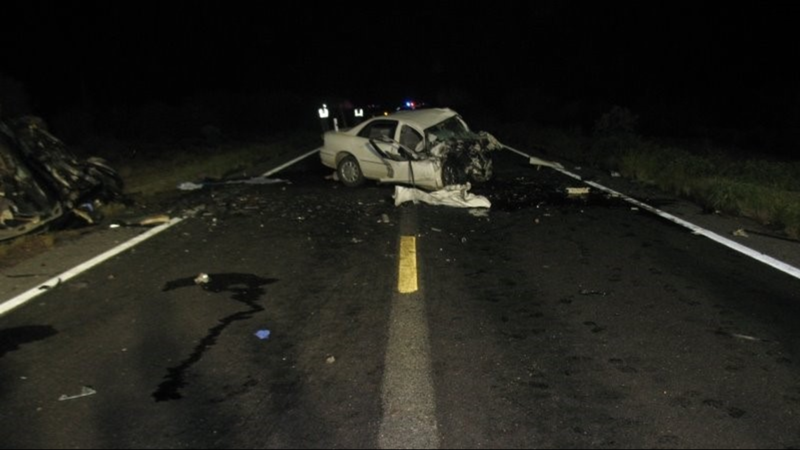 The crash happened on SR-79 at milepost 122.3 Wednesday before 10 p.m. PHOTOS: DPS released crash photos from the scene of accident that killed 8 people. 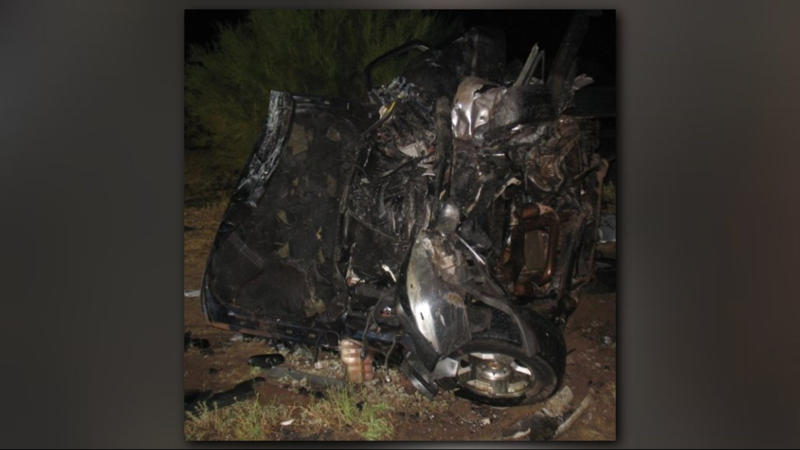 Crash photos from the scene of an accident in Florence, Arizona that killed 8 people Wednesday night. The Suburban had nine people on board when it was struck head-on by a Buick passenger vehicle, DPS said. Angel Mesa, 41, from Eloy, Ariz., was driving the Buick, with Nicole Vidal, 33, as a passenger. They were both killed in the collision. Rodney Palimo, 45, from Sells, Ariz., was driving the Suburban. Kathleen Palimo, 43, was a passenger in the Suburban. 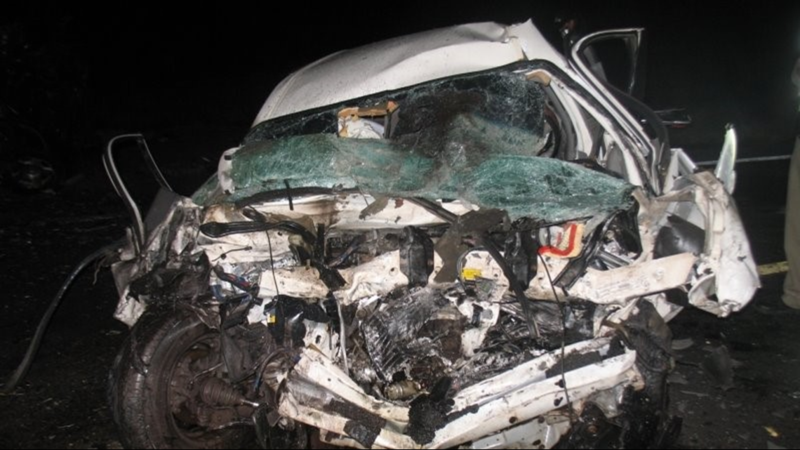 Seven other passengers in the Suburban were Guatemalan nationals, according to a news release from DPS. Four of the men were killed, and three were injured. DPS said it's not known at this time why the Buick went "left of center" and collided with the Suburban. DPS said initially nine had died in the crash, but tweeted an update later Thursday saying three people involved in the crash were in the hospital, one being in extremely critical condition. Troopers are working with the Department of Homeland Security to attempt to identify and make next-of-kin notifications for the men from Guatemala, which DPS says will take time to complete.